In April this year is the 30th anniversary of Igor and Olga Piano Duo‘s first performance on the concert stage. The Duo was formed at its Alma Mater, Moscow Conservatory, on advise by Olga‘s teacher, Alexei Nasedkin. Olga Kharitonova and Igor Machlak were accomplished solo pianists – both graduated from the Con with first class honours – but it was as a team they were most successful: the Duo was a winner of prestigious international competitions in Italy, Japan and Russia and toured extensively in Europe and at home. Since 1995 Igor and Olga Piano Duo became an important part of Australia’s music scene. They continued to develop their careers as performers and teachers. Igor Machlak and Olga Kharitonova performed with orchestras and in chamber music recitals with many of Australia’s most distinguished performers. But the most cherished activity for them remains their performances together. Igor and Olga’s busy performance schedule took them to various parts of the globe, including regular visits to China and Southern Eastern Asia as well as return trips to Europe. Currently they lecture piano at the Melbourne Conservatorium of music, the University of Melbourne. For many years they have been co-ordinating the Piano Duet Ensemble sharing with students their experience and joy of playing together. On this occasion they are joined by their children: Iounna (Una) and Michael (Misha). Una Machlak is the third professional pianist in this family. She gained her Master Degree from Melbourne University where she studied under guidance of Professor Ian Holtham. During her studies Una was awarded many prizes and scholarships and performed with an orchestra. Currently she manages to combine performing, teaching and accompanying with working as a nurse. 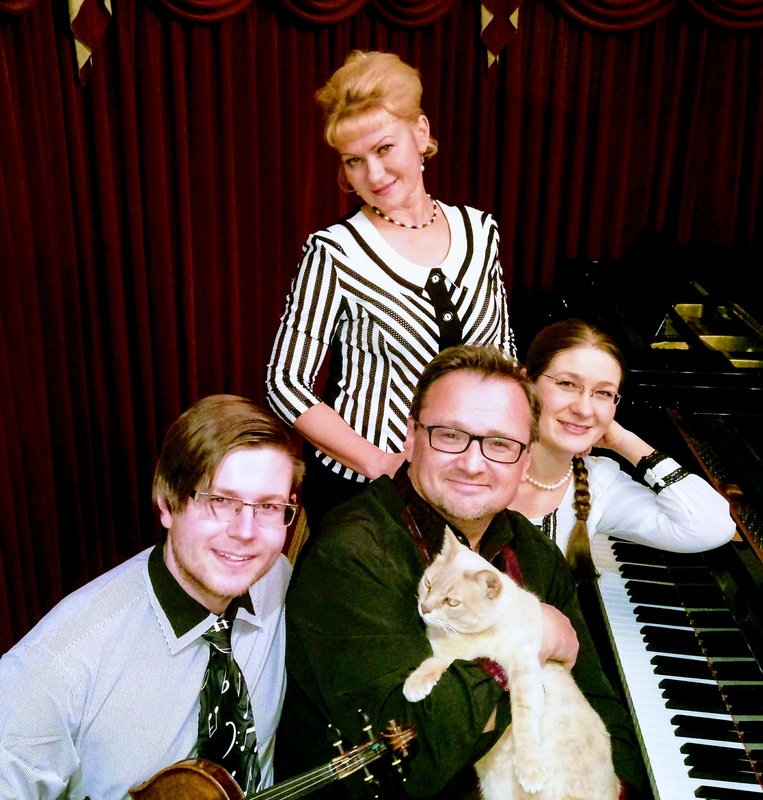 Misha Machlak is the only member of the family whose main instrument is not piano. He chose to play violin at the age of six and enjoys something which a pianist can’t do – he often plays in an orchestra. Being a part of various groups and orchestras he had opportunities to travel and perform in different parts of Australia, New Zealand and Europe. Currently he is studying in Melbourne University majoring in science, in combination with a Diploma in Music, under the guidance of Mark Mogilevski.